– Pylon Network MeetUp in Wales is now confirmed; “Blockchain, cryptocurrencies & energy innovation” will take place on 19th Feb 2018. – The event will attract important stakeholders – from a wide spectrum of the energy sector – and will be hosted by TechHub Swansea – the local co-working space of a global entrepreneurial & startup community. – The event is free and open to the public. Due to limited spaces, registration is required for securing a position (see below). Online, live broadcasting of the event will also be available. We are extremely happy to officially announce the first Pylon Network MeetUp for 2018! The European Tour de MeetUps for 2018 begins with a stop in Wales and the UK. Taking place on the 19th February from 9.ooAM – 1.30PM, it will be hosted by the local offices of TechHub (a global network of entrepreneurs and startups). 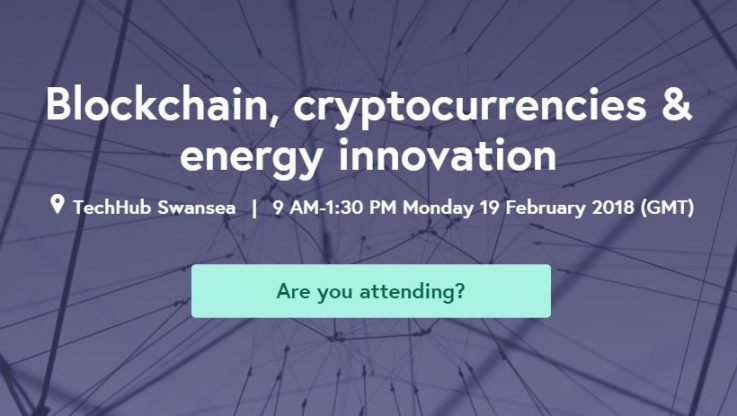 During “Blockchain, cryptocurrencies & energy innovation” at Swansea(#BEW18), the invited speakers will look at different aspects of these three sub-topics – each of high interest. The discussion will offer different takes on their impact potential in terms of inducing new social, economic and business models around the energy sector (see agenda here – as of now). Our COO, Markos Romanos, will take a big chunk of the time to explain important aspects of Pylon Network, in relation to Klenergy’s (de-centralized) vision for the future energy system, but also the implementation strategy, the status and outcomes of the project until now, as well as an overview of the challenges and opportunities that lie ahead. In short, this event will be a must-attend for people with an interest in the cutting edge of blockchain, distributed energy and technology; and as if this was not already good enough, the event will be open & free to attend – both physically and digitally! For those of you who are interested in attending physically, registration will be required, since the seats are limited. All practical information and registration for the event can be found here: https://attending.io/events/blockchain-cryptocurrencies-energy-innovation. For those who prefer to attend digitally, the event will be broadcasted live through Facebook and Periscope – more information will follow in the future.